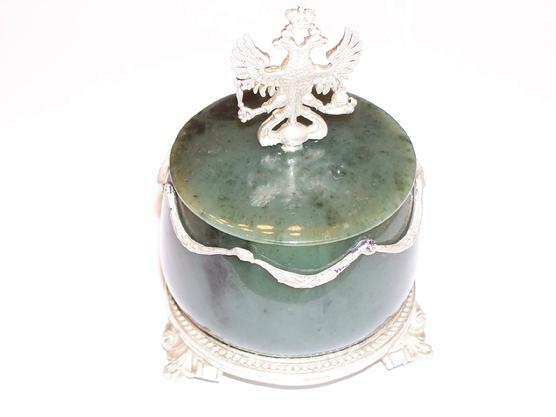 You are looking at a beautiful green Nephrite Jewelery Box created by famous firm of Ivan Khlebnikov. 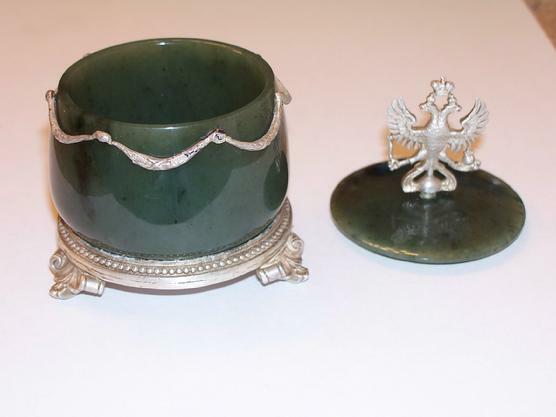 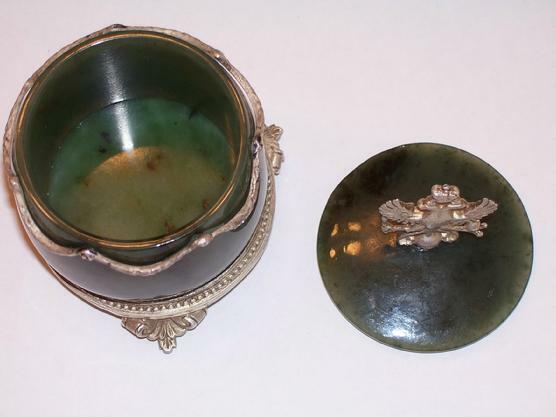 This box is mounted with silver and Nephrite stone. 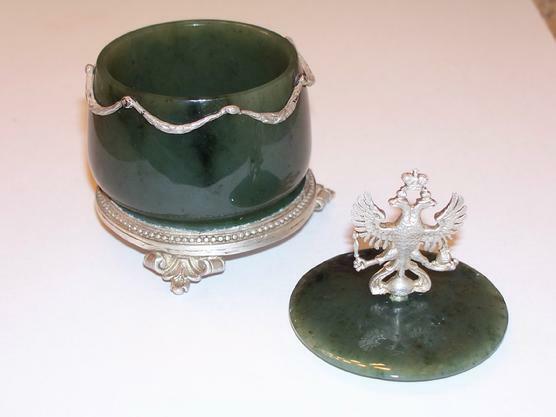 The top cover has a silver double headed imperial eagle. 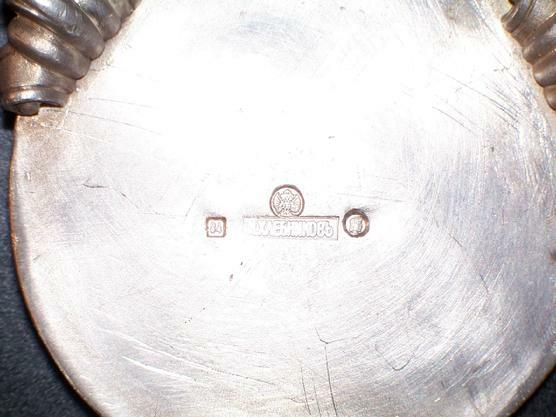 On the bottom, hallmarked with I. Khlebnikov and silver standard- 84 and title of Imperial Court Supplier with Double Headed Eagle as a trademark. 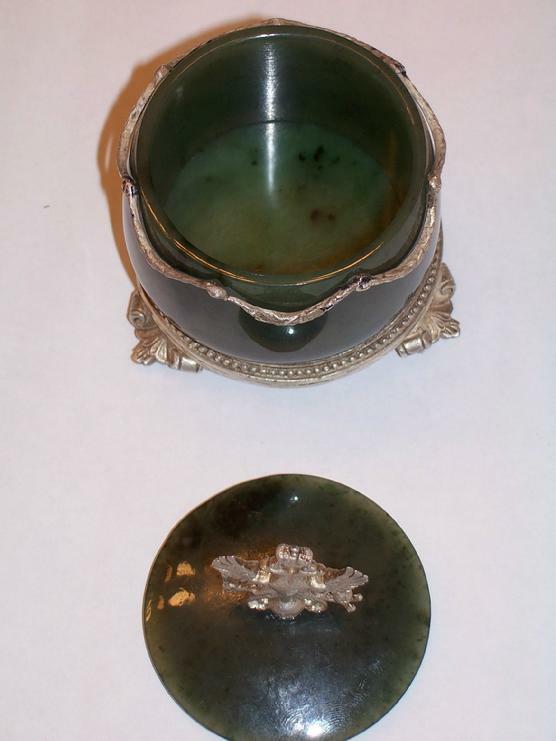 80 mm high with top.